An assortment of Boar’s Head delicatessen meats and cheeses, our famous chicken and tuna salads and grilled chicken breast served on freshly baked dinner rolls and croissants with lettuce and tomato. Beautifully presented on a platter. 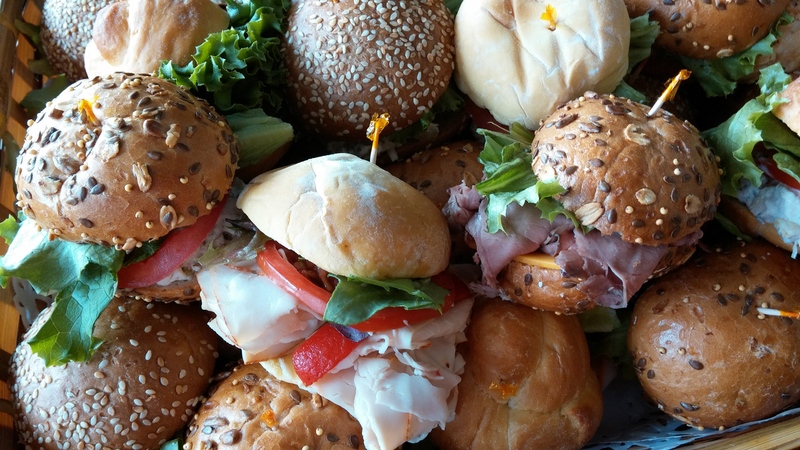 Two freshly prepared mini sandwiches per guest. (Individual mayonnaise and mustard on the side).